Our last post was about at $100 billion hurricane possibly hitting the US East Coast. 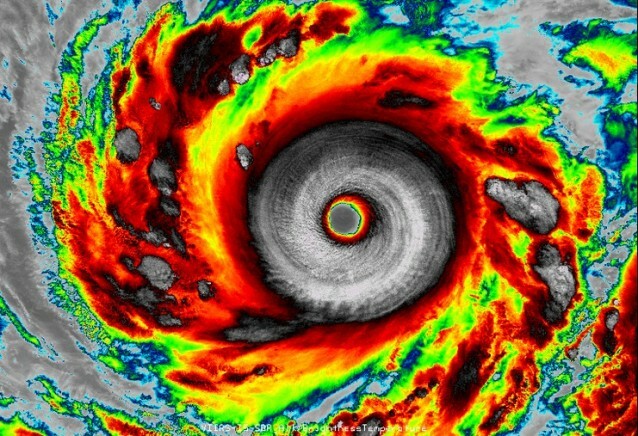 A direct hit near Tokyo might be the same. Think a $100 billion hurricane can’t happen; think again. It already has. 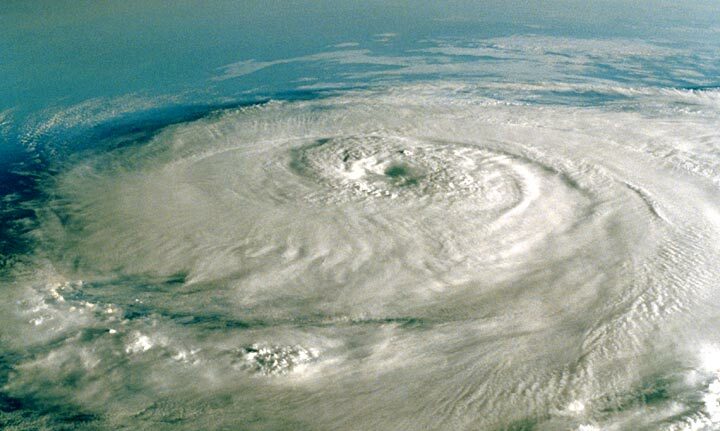 The Hurricane of 1821 has been analyzed by the re-insurance company Swiss Re. A re-insurance company insures insurance companies. They took at closer look at available information from the 1821 storm and determined that if it were to hit today, it would cause $100 billion in losses. Full report here, which they have just called, The Big One. Get the short version from a WNYC radio report here by Ilya Marritz. Oh and when we were on the Swiss Re website, we noticed they have a whole tab devoted to Re Thinking. Guess what most of that is about? Just sayin! Mick Huckabee feels “blessed” to have a $3 million, 11,000 square foot beachfront vacation home in Florida. We think he is blessed to have federally subsidized flood insurance and a Florida DEP that basically looks the other way and approves every application to build houses where beaches and protective dunes really should be. That is just one of the stories in part 2 of Reuters’ series on Sea Level Rise. Part 2 is as good as the first. http://www.reuters.com/investigates/special-report/waters-edge-the-crisis-of-rising-sea-levels/#article-2-against-the-tide This is reporting at its best folks. I urge you to read the in-depth piece by Deborah J. Nelson, Ryan McNeill and Duff Wilson. Wallops Island, Virginia is a NASA base. 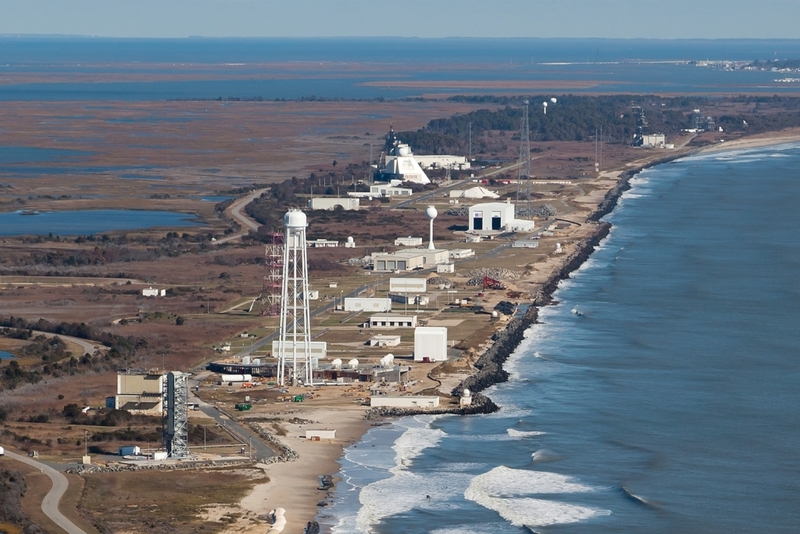 The people who work there are rocket scientists, literally. 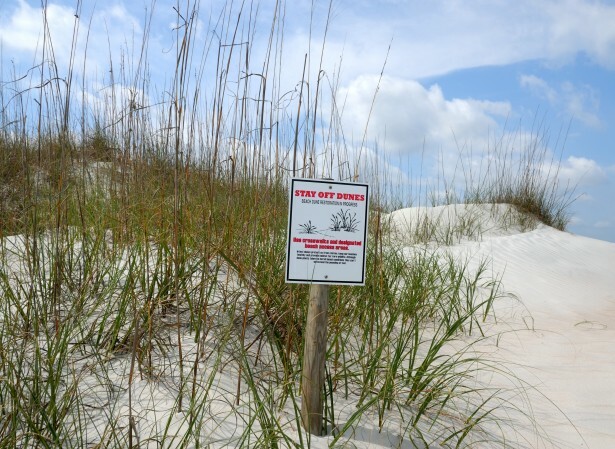 But instead of moving the barrier island facility to a place it will be safe from sea level rise, they have spent $100 million on new buildings and $43 million on dredged sand to protect the island, half of which has washed away. You have to give it to the reporters…who do excellent in-depth reporting. This Reuters Report on Sea Level Rise is as informing as it is through. 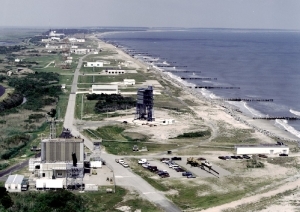 The Wallops Island tale is just one of many. http://www.reuters.com/investigates/special-report/waters-edge-the-crisis-of-rising-sea-levels/#article-1-insidious-invasion. By Ryan McNeill, Deborah J. Nelson and Duff Wilson It is part of a series so look for posts on the other parts coming out soon. To raise awareness about rising seas, Delaware environmental groups are holding an entire week of events regarding sea level rise. 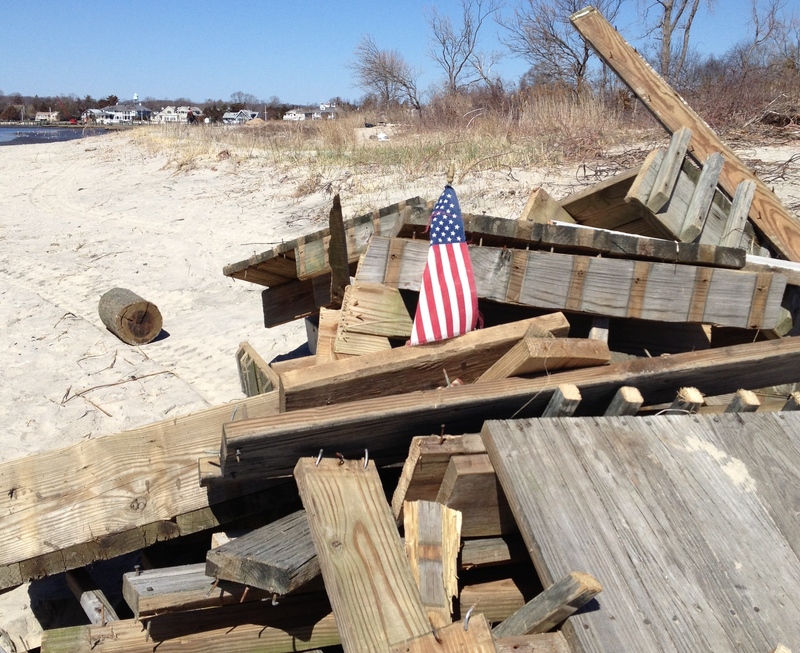 NJ Future brings you a screening of the excellent film about beach Replenishment, Shored Up. The film will be shown in Rumson on September 20, 2014 at the Holy Cross School 40 Rumson Road, 7PM to 9PM. 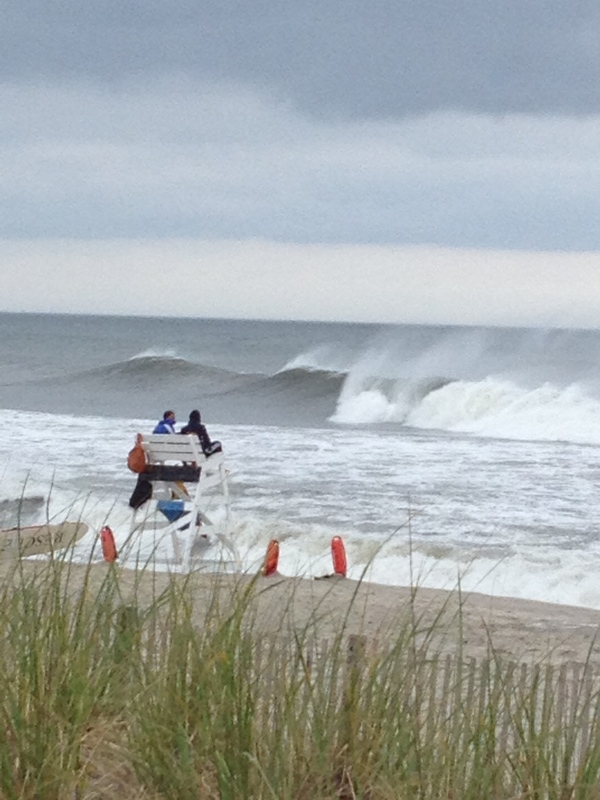 This is right next to Sea Bright, which has been called the most engineered beach in NJ. There will be a panel discussion after the film with the film maker and experts appearing in the film. Please take a good look at the picture above. The state of NJ just guaranteed that we will all go through that living hell again. I guess the state didn’t get the message we posted yesterday about the Rutgers Climate Adaptation Alliance’s new reports on the impacts of climate change. It seems like they learned nothing from the devastation of Hurricane Sandy either. Because today was the final public hearing on a 1000-page overhaul of the state’s development rules in the coastal zone and guess what? They call for more development in these areas while also making it easier to get these development permits. Kirk Moore of the Asbury Park Press nails it here. The Rutgers Climate Institute has done great things to help us Re-Think the Coast. 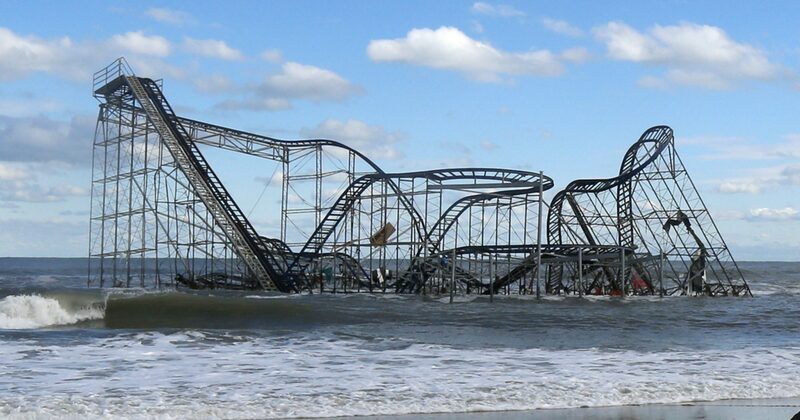 Most recently their “working briefs” as the NJ Climate Adaptation Alliance on climate impacts in NJ found here. The reports are available for download at that site, most are not too long, and they are full of good advice for the NJ Coast. 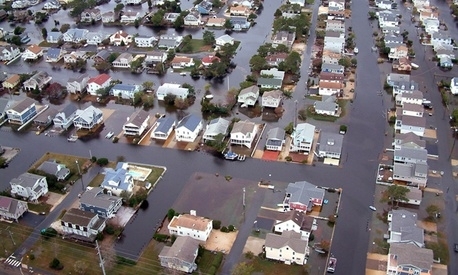 Their working brief on Coastal Communities includes information on what other East Coast States are doing to deal with climate change and sea level rise. A new report called Risky Business is saying the US economy faces graves threats from global warming. This report was not written by academics or environmental leaders, but by some serious capitalists like Henry Paulson and Michael Bloomberg, ably assisted by folks with extensive policy experience including George Schultz and Olympia Snowe.